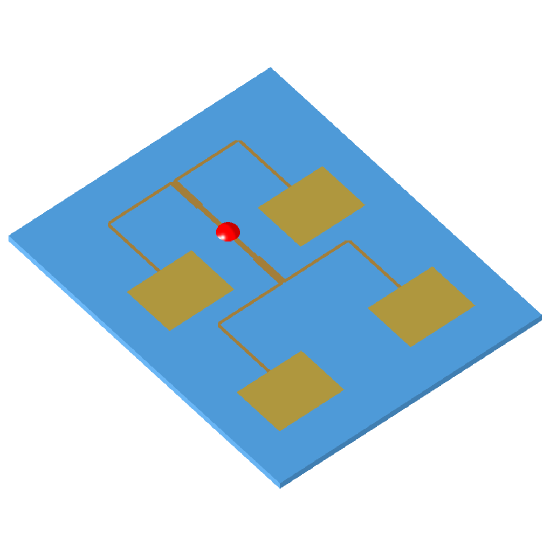 Image of the 2x2 Rectangular microstrip patch array. The two dimensional nature of planar arrays results in versatile structures, which are able to provide specified radiation patterns with low side lobes. Applications include, among others, tracking and search radars, altimeters, remote sensing, terrestrial and aerospace communication systems. 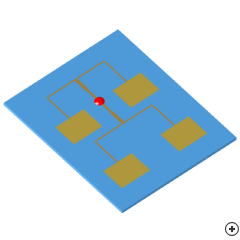 Due to their low weight and profile, microstrip patch arrays, are suitable for numerous microwave and millimeter wave applications, or when flush mounted, conformal arrays are needed. Efficiency reduction, due to ohmic, dielectric losses,surface wave losses, and spurious feed network radiation, may be of concern, especially in large arrays.